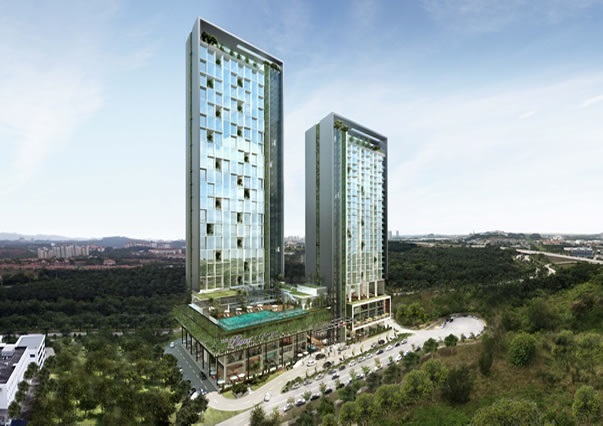 The Place @ Cyberjaya features two separate towers with gleaming glass façade and stand atop the naturally ventilated retail podium. The lush greenery that surrounds this structure provides a subtle balance to its advanced outline. In line with its goal to achieve the Green Building index, The Place @ Cyberjaya is further enhanced with several novel features such as the use of thermal storage system for air-conditioning, heat recovery system to generate hot water, gardens and luxurious green pockets on every floor of the towers and rainwater harvesting system for irrigation. Built-up Area : from 549 sq.ft.